By now you probably know the benefits of two-factor authentication, but just in case you don't: The feature adds more security to your account by adding a second step to your login beyond just entering your username and password. In the case of Reddit, when you sign into the site you'll get a six-digit verification number sent to your phone that you'll need to input before you'll be able to finish signing in. The idea is that even if someone gets your username and password, they still won't be able to get into your account unless they also have your phone. 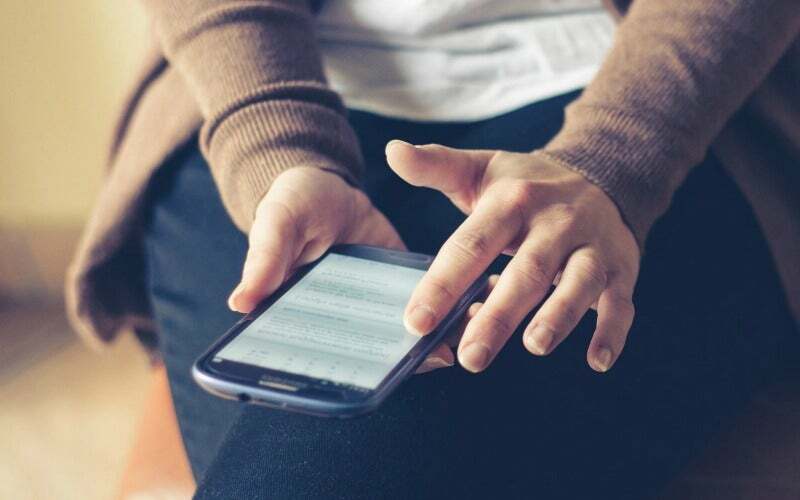 Some sites' two-factor authentication features will send you a text message with your six-digit code, but in the case of Reddit you'll need to download an authenticator app such as Google Authenticator or Authy. These are actually better, since you don't need to have a mobile signal where you are to use them. That means if you're travelling in Europe and have a local SIM in your phone you'll still be able to log in. To set up two-factor on Reddit, first go to the password/email tab under your Preferences on the desktop site (Preferences is at the top right side of the page). 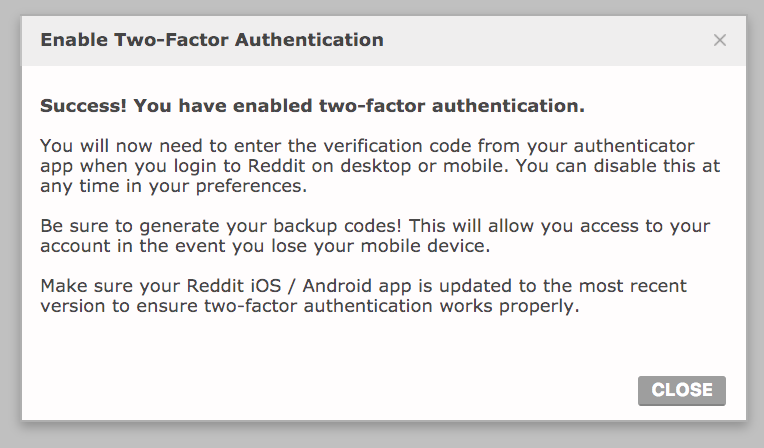 At the bottom of the page you'll see a pretty discreet "two factor authentication" line. Click the blue "click to enable" to start the process. Afterwards, you'll need to download one of those apps I mentioned above and select the option to setup a new account within that app. When prompted, you'll scan the barcode displayed on the desktop Reddit site with your phone to get a six-digit code you'll then input into the site to connect the app and your Reddit account together. It sounds a bit complicated, but it's super simple and should only take a minute or two to complete. After it's all set up, whenever you log into Reddit you'll also need to fire up your authenticator app and enter the six-digit code. The code changes on its own every minute, so it will be different each time you try to log in. Once you're done, I recommend setting up two-factor authentication for every account you have that allows it. Yes, it can make signing into your accounts a tiny bit more painful, but it makes them a ton more secure, too. emily, you left your barcode in that image. 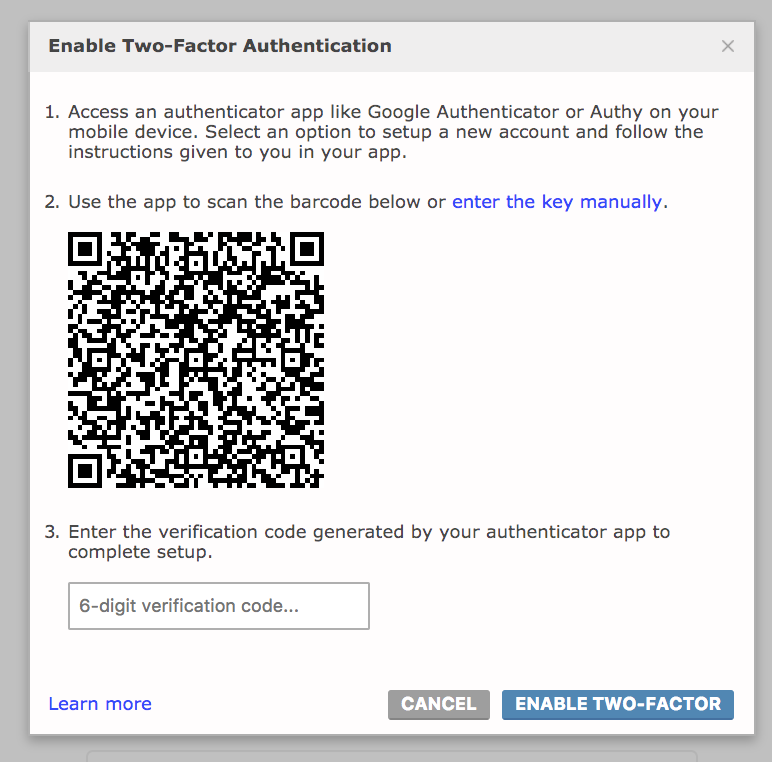 your 2 factor auth is compromised.